← Have You Ever Seen A Robin’s Ears? I hereby declare today National Peanuts for Breakfast Day! At least that’s how it seemed by the way my birds were acting this morning! 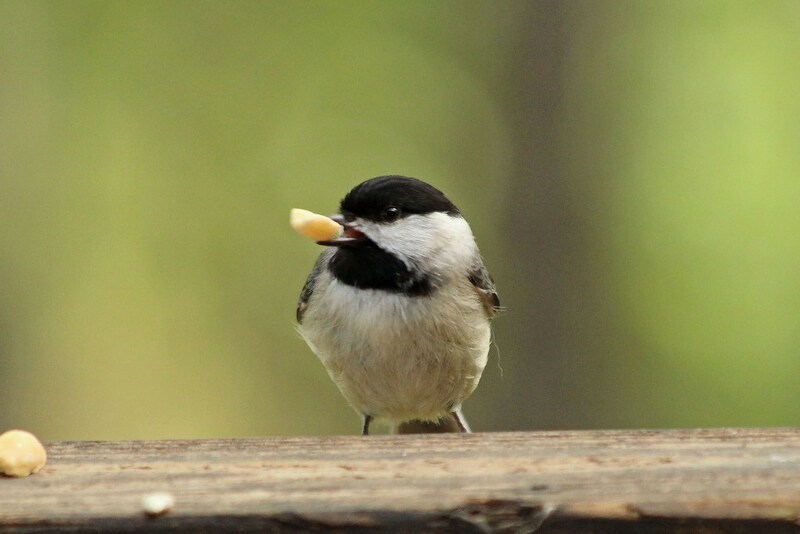 I went outside to fill the feeders, and everyone made a bee-line for the peanuts. 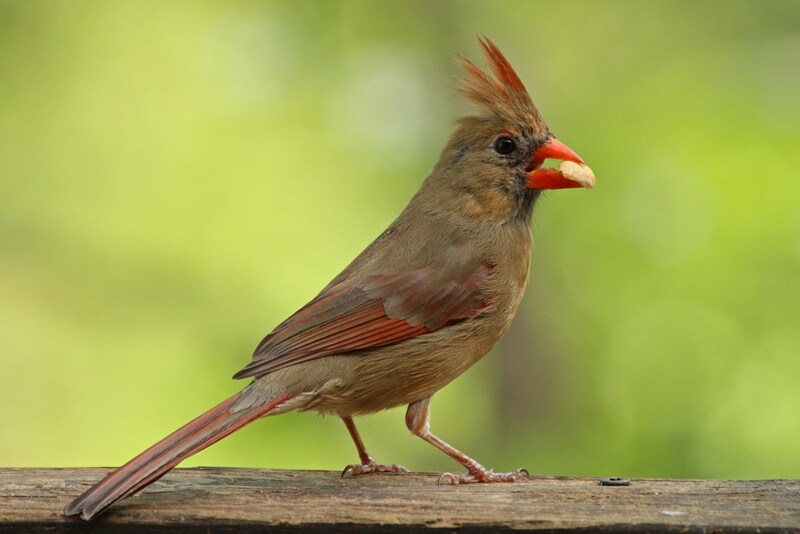 Even birds like the Cardinals and Chickadees, that normally select sunflower seeds, were showing a preference for the Planters. 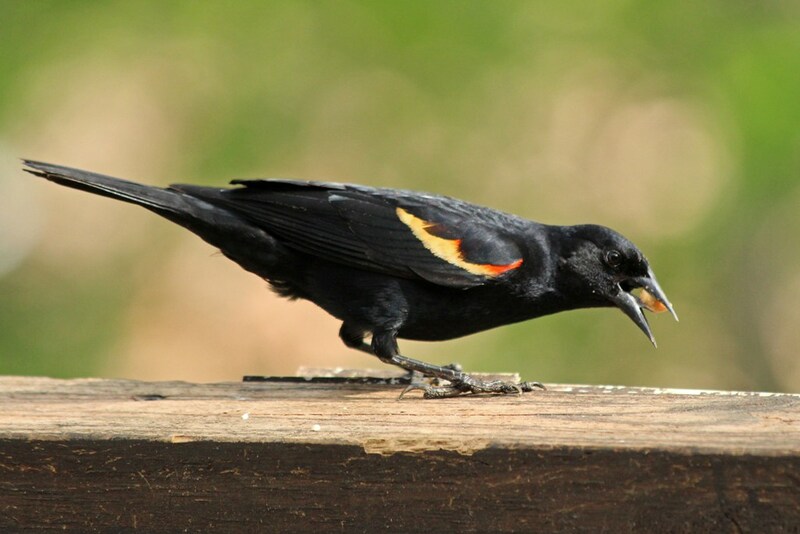 …as did the Red-winged Blackbird. 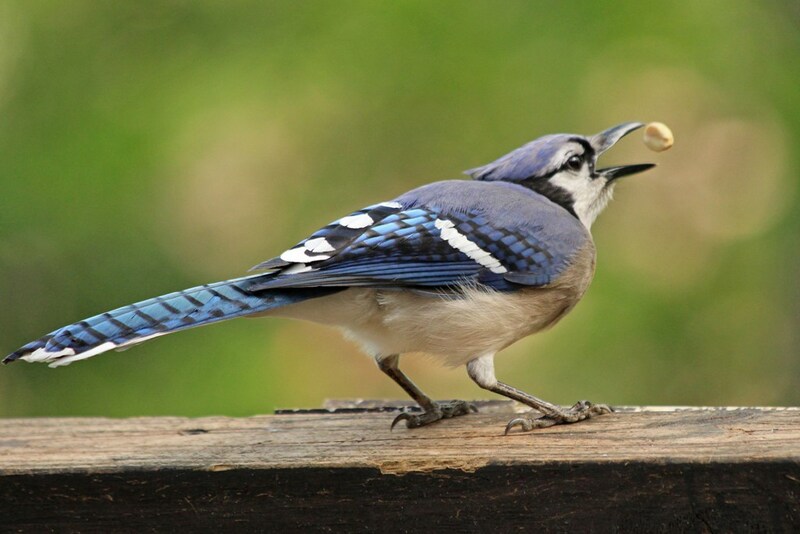 And it’s no surprise that one Blue Jay after another showed up to partake of more than their fair share of this tasty protein. 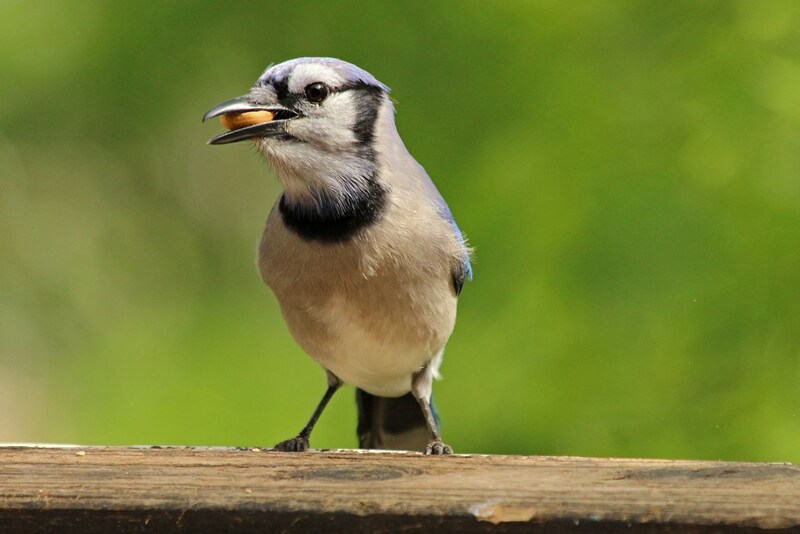 The Blue Jay below seemed to be playing with his food, as he popped a peanut in the air before adding it to his already bulging pouch. 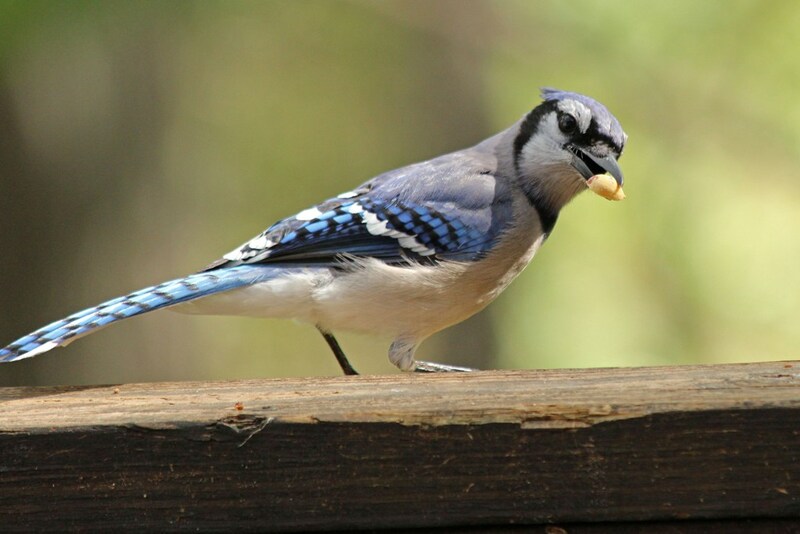 The last Blue Jay to show up while I was outside with my camera was the fellow that posed so sweetly for a previous post. Remember? The one who was too cute not to share. He’s been hanging out quite a bit lately. 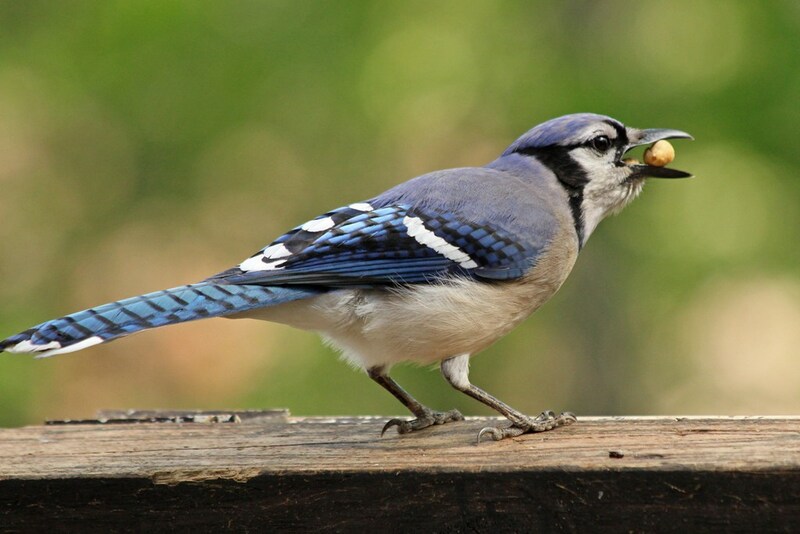 I know I probably sound like a broken record at this point, but if you want more birds in your backyard, add peanuts! 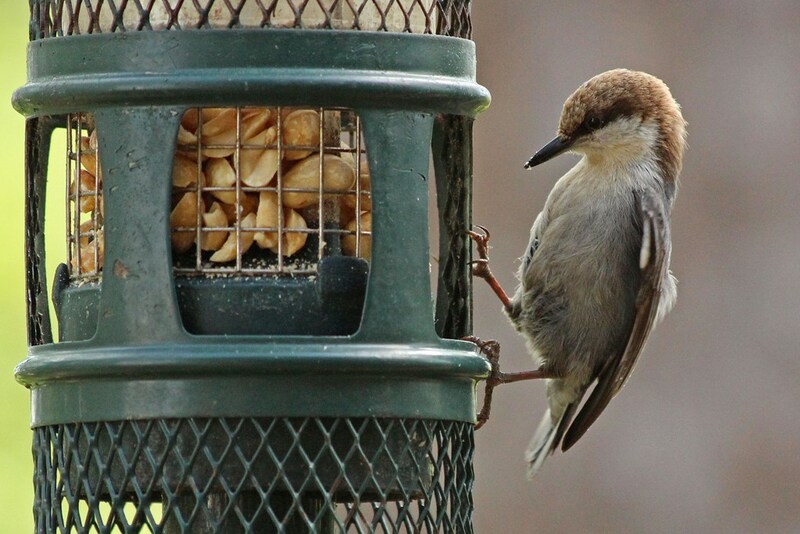 This entry was posted in Backyard Birds and tagged beauty, bird watching, birds, creativity, georgia birds, hobbies, nature, photography, spring. Bookmark the permalink. Well, I’ll be. 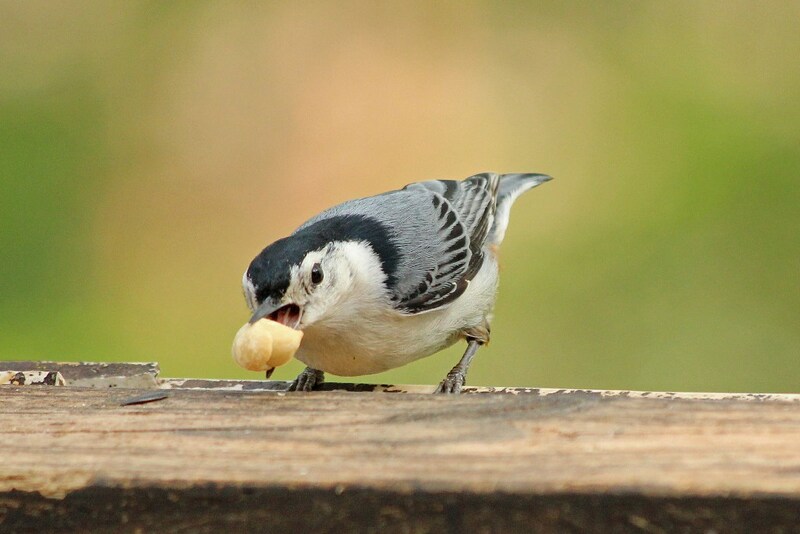 I passed over the peanuts this week and got only sunflower seed. I thought they would draw squirrels and the birds would not eat them. Next time I buy, I’ll try some peanuts. I looked for bark butter and they did not have it. The peanuts do draw the squirrels, although the squirrel proof feeder helps. There’s just no way of altogether avoiding those scoundrels! I had to go to a squirrel proof feeder too. The critters would get INSIDE my old feeder and empty it. Great shots. Now I want some peanuts!